My usual Monday night exhaustion has kicked in today so here is a photo from yesterday. 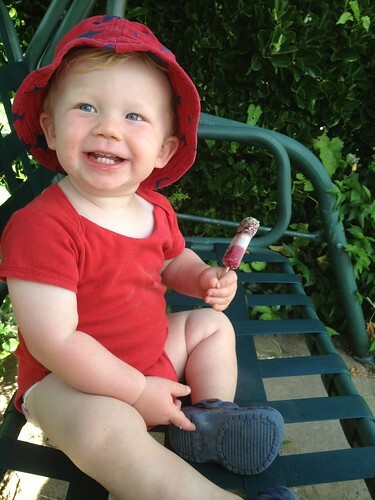 My gorgeous smiley boy sitting and enjoying his ice lolly in the garden. Sometimes the simplest things in life are just the most pleasurable! Today we had church on the beach and one of my ex-client’s was baptised. 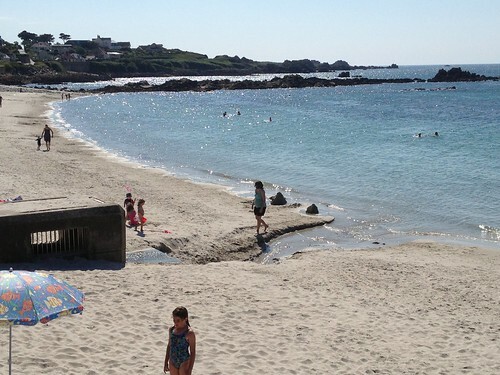 It was a lovely day which made a change from last year when it was cold and drizzly and horrid. 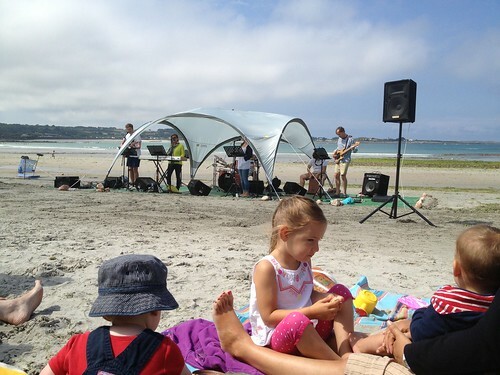 Personally, I think church should always be on the beach if the weather is good enough. After church and lunch we did a bit more in the garden and spent some time finishing up jobs. I can’t believe it is back to work tomorrow. The weekends go so fast! A bit of Wimbledon watching. 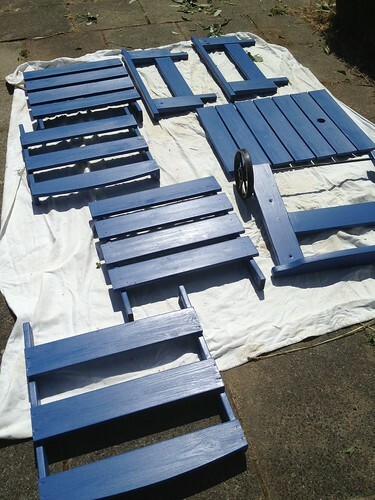 A bit of painting garden furniture this lovely blue colour. Yeah, it’s been a good day. 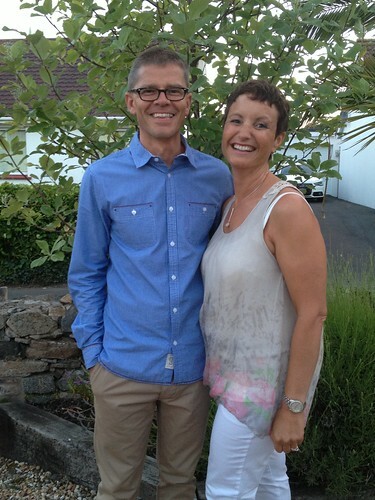 Tonight we went to my cousin Anita’s house for a little party as she and her husband Andy have been married for 25 years. I can’t believe it is their Silver Wedding already. My sister and I were bridesmaids and we were wearing mid-80’s monstrous dresses. They were big and puffy and bo-peep style and were white with a little pink rosebud pattern. I was 13 going on 7 in it. Grim. Thank goodness everyone is a lot more stylish these days! We had a lovely evening and The Little Mister spent a happy evening cruising around the family eating stuff off their plates. He was so late to bed but had a lovely time. It was such a nice evening. This is not the cheeriest post ever I’ll grant you that. Yesterday was 9 months to the day since my wonderful Mum died on a beautiful beach in Greece . Yesterday her gravestone was erected which gave my sister a bit of a shock when she walked passed the graveyard to take my niece to pre-school. The three of us had gone to choose this gravestone a couple of months ago. It’s surprisingly hard to make such a big decision. Do you go for granite or marble, polished or not, with a flower vase? Eventually we settled on this gorgeous soft pink granite headstone because it was closest to the Cobo granite on the beaches near where Mum grew up. It also has the loveliest streaks and sweeps of grey running through it. The stone was in the window of the display showroom but to be honest it looks so much more beautiful now. Once you have chosen the stone then starts the dilemma of what to have written on it. In the end we have chosen to have her details as well as one of her favourite verses, Proverbs 3:5-6 and then the words ‘from earth to heaven’ which pretty much sums up what happened to her on that beautiful beach. Whilst seeing this headstone made me cry, it also made me smile. I was so delighted with our choice and I know Mum would have thought it was beautiful. 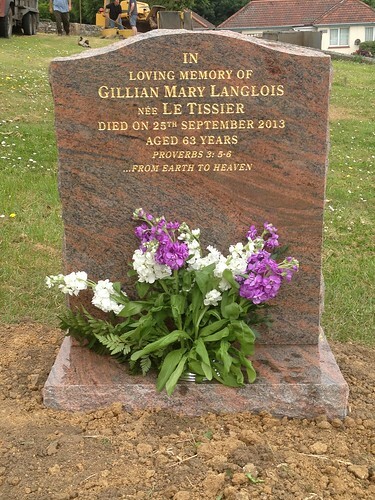 It truly is a fitting tribute to my wonderful Mum and something that will last forever. Another day passes, another milestone met and still we miss Mum. That is one thing that will never change. I have been trying to sort stuff out in the baby’s room although I don’t seem to be getting very far most of the time. 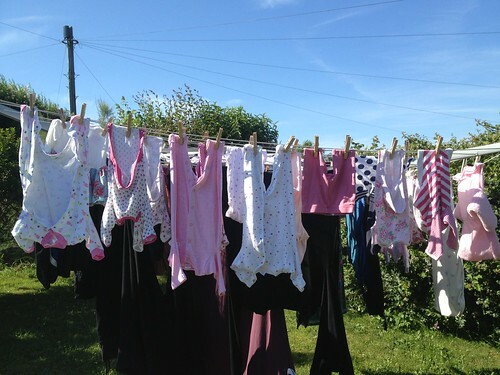 I did some washing today and was amazed to see how much of it was pink. I have bought so few pink clothes but lots of the stuff that has been given to us is pink. Still, it looks terribly sweet hanging on the line! 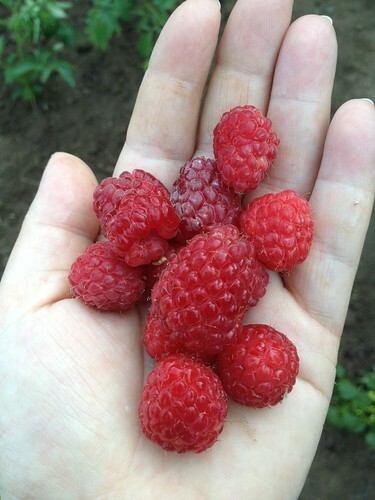 The hardest bit about growing these is stopping The Little Mister eating them before they are ripe! He loves all fruit, but especially raspberries and strawberries. Today I went to pick The Little Mister up from the childminder. They are right at the centre of the picture, playing near the water outlet. This is where I had to pick him up from – not bad really, better than being in some stuffy nursery! It has been a beautiful day but I have to admit that I have found it much to hot! It has been the most beautiful day today although I have to say that I find the weather a bit warm at 7 months pregnant! 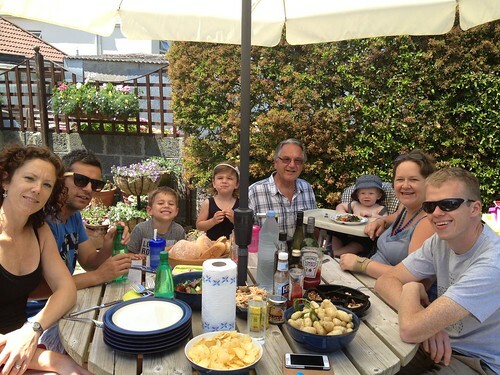 We had a barbecue down at Dad’s at lunchtime. Being together makes me happy and even though Mum is absent from the table she is very much present with us in every other way. After lunch we took a walk up to the park where there was a classic car show. So many beautiful cars but my heart still lies with the Morris Minors. Wow The Little Mister has been so grumpy today. He has wanted to be entertained and if we tried to get on with anything he whinged and whinged. After his bath though we managed to catch sight of what seems to be a couple of new teeth coming through. It might account for his snottiness and whinginess today. We have lots of lovely photos of him airing his bottom lip but sadly none of them were in focus. 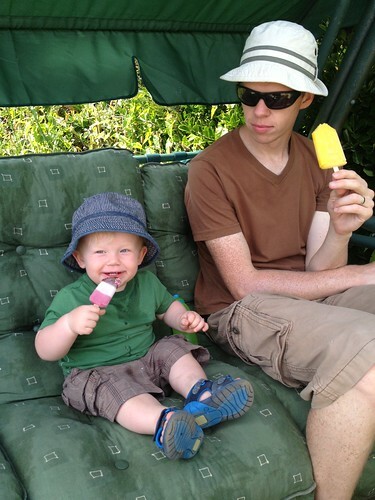 Instead here he is with his lovely Daddy, wearing matching clothes!